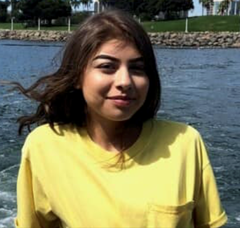 Missing Juvenile: Aranda Briones, 16, HFJ, 5'04" 110 lbs., last seen near the Moreno Valley Community Park, 13380 Frederick St.
On Monday, January 14, 2019 Moreno Valley Police Department began investigating the disappearance of a female juvenile, Aranda Briones, 16. Briones never returned home after a night out with some friends. Over the past week, investigators have searched last known locations and spoke to several family and friends of Briones in an attempt to locate her. Briones’ last known location is believed to be near Moreno Valley Community park located at 13380 Frederick Street in Moreno Valley. 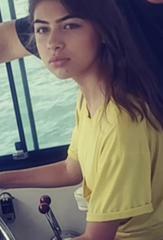 Aranda Briones is 5’04”, 110lbs, brown hair and brown eyes. 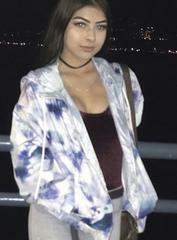 She is believed to wearing a white and blue jacket (depicted in the attached picture), a dark colored shirt and dark jeans. Briones has a visible nose piercing (septum). Anyone with information on her possible whereabouts is encouraged to contact Master Investigator David Drexler at the Moreno Valley Police Department (951)486-6700 or the Riverside County Sheriff’s Department after hours dispatch at 951-776-1099.